approach to wellness through personalised treatments, guests can also enjoy a steam bath, salt mineral pool, sauna and jet pool, as well as 20m indoor pool with relaxation zone and bar. Treatments use healing mud from a nearby extinct volcano and honey from the estate’s own beehives, as well as Darphin for a variety of indulgent body and facial treatments. Well positioned for stays throughout the seasons, guests can drive just over an hour to the slopes to Bansko Ski Resort or just under an hour to the stunning beaches of Halkidiki, and the area receives 330 days of sunshine per year. 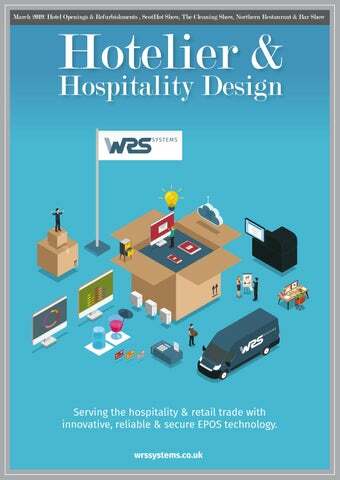 Hotelier & Hotel Design Magazine is the leading publication and established web resource in the business. Providing comprehensive reporting on hotel industry news and exclusive coverage of the latest ecological-friendly green hotels and bar designs, HHD Magazine keeps you updated on the latest hotel trends in technology and innovative ideas. The commercial furniture company *Excludes products currently on special offer. Exemptions apply. Prices correct at time of print. ampton by Hilton Paris Clichy Opens Its Doors as the Brand’s First Property in the Bustling City of Paris, as the Brand Celebrates 250,000 Rooms Across the World. direct at Hilton.com, through the Hilton Honors app or through other official Hilton channels for more perks and a price match guarantee. In Europe, Middle East & Africa, Hilton’s rapid growth has led to the creation of nearly 25,000 jobs in the last year alone. HAMPTON BY HILTON PARIS CLICHY HIGHLIGHTS •	Conveniently located just 3km away from Palais des Congrès Porte Maillot •	Contemporary business hub for small meetings •	Fully equipped 24-hour fitness centre •	Complimentary WiFi throughout GUESTROOMS •	156 contemporary rooms •	Modern facilities and useful elements of room furnishing •	Complimentary tea and coffee facilities •	Beds with comfortable pillows and soft linen •	40-inch LCD TV and working space DINING •	Free hot breakfast •	Eat Zone offering a wide selection of seasonal dishes •	Living Area offering selection of light bites and snacksk BUSINESS •	Modern business hub offering a wide range of services and facilities, including free printing For further information about Hampton by Hilton Paris Clichy contact Charlotte Drake at +44 (0)1253 608999.
together in style, it provides the perfect combination for socialising and privacy all under one roof. high-end SieMatic kitchen, satellite TV, WiFi and stereo, all guests can take advantage of the hotel’s superb facilities. Peter Hamacher, director of sales and marketing for owners Hamacher Resorts, said: “These exceptional villas can sleep 8-10 people in comfort. Each has its own infinity pool, outdoor barbecue areas and a daily cleaning service. Carrossa is home to a stunning 1,500m2 state-ofthe-art wellness centre, built and designed to the highest specification with saunas, steam bath, ice fountain, and a wide selection of massage, beauty and special treatments, as well as a high-tech gym. The former manor ground gardens of Carrossa are also home to an inviting heated outdoor panoramic infinity pool and deck. Carrossa’s fine cuisine offers a range of sophisticated international and local dishes in the fine-dining Restaurant Carrossa, or an extensive choice of dishes in the more informal Bistro Badia, both of which deliver panoramic views from the terrace. his summer will see the hotly-anticipated opening of Sonop, a luxurious tented camp nestled on the Southern edge of the Namibian desert in the Karas region, two hours from the majestic red dunes of Sossusvlei. It will be the second opening in Namibia from Zannier Hotels, further to the launch of Omaanda in July 2018. Sonop has been constructed atop a group of boulders and comprises ten luxury tents which invite guests to live the life of intrepid explorers from the early 20th century. Just like those British travellers who traded their beloved homes for the bare Namibian desert dunes, guests staying at Sonop will experience a taste of living in complete isolation, immersed in the surrounding landscape but still able to enjoy the bespoke high-end luxury experience offered by Zannier Hotels. The lodge is located approximately 80 minutes by plane from Namibia’s capital, Windhoek, and has its own landing strip or, for those who wish to travel by road, it is approximately a 4.5 hour journey in a 4X4 Jeep. Whilst en route, guests can spot numerous boulders dotted amongst the long stretches of sand dunes. These enormous piles of granite rocks are the result of ancient volcanic eruptions, since polished and hollowed out by millions of years of weathering and are typical of the local geography. It is at the foot of one of these majestic rock formations that Sonop is located. A JOURNEY THROUGH TIME Designed to mimic a refined British colonial experience from the 1920’s, the ten spacious tents aim to offer a unique journey through time. Richly furnished with antiques made from exquisite materials, colourful carpets and precious woods, guests will feel the spirit of adventurers of the past and drink in the unique look and feel of the location. IN THE EXPLORER’S TENT The tents, eight measuring 42sqm with a double bedroom and living room and two measuring 75sqm with two double bedrooms and a shared living room, face out towards the spectacular landscape that surrounds the property. Shaped in an oval formation and built on sturdy elevated wooden decks covered by elegant tent canvas, they offer the utmost in comfort, including Wi-Fi and air-conditioning, to cater for today’s discerning traveller. All tents feature a large bedroom, separate bathroom and a large copper bathtub combined with a rain shower. A dressing table with ornate objects, such as tiny flasks and antique combs, turn the bathroom into a charming space. The antique desks, found in the living areas of the tents, display various objects d’art, such as magnifying glasses, binoculars and vintage maps. The bedrooms feature king size fourposter beds, an airy living area with comfortable armchairs, and a telescope to look out into the distant surroundings. The camp’s energy supply comes entirely from solar panels, supporting Zannier Hotels eco-focused approach. All tents have private terraces that extend out across large wooden decks, offering magnificent views of the desert. Breath-taking outdoor excursions will be offered within the 5,600 hectares of private reserve, where oryxes, brown hyenas, rabbits, foxes, jackals, kudus and leopards roam free. These include exploring the desert by foot or riding horses from the camp’s private stables. Guests will be amazed by the sky that ranges in colour from striking purples and oranges to bright blues. Each evening guests are invited to enjoy an opulent gastronomic experience, where silverware and candelabras set the mood, enhanced by black-tie and white glove service. Flawless service and attention to detail are par for the course. The evening can be extended in the Cocktail & Cigar Lounge, designed in the style of a traditional gentlemen’s club with a billiard table and parlour games taking centre stage. A skilled barman will be on hand to create exotic cocktails showcasing delicious flavours and inspired by the desert surrounds. WELLBEING IN THE DESERT For guests’ ultimate comfort, Sonop will also offer a spa consisting of two double treatment rooms, a gym, relaxation centre and a heated outdoor infinity pool, all of which provide jaw-dropping unimpeded views over the desert and the tents in the distance. Bicycle lovers can devote themselves to a rather unique activity in the desert, using electric mountain bikes, offering a more wide-ranging but nevertheless environmentally respectful outing. Other made-to-measure excursions can be organised upon request, such as hot air balloon rides, romantic dinners in the dunes and even watching a classic film at Sonop’s openair cinema. GOOD TO KNOW There are regular transfers from Sonop to Omaanda – the first luxury lodge in Namibia from Zannier Hotels, located closer to the capital, Windhoek, and set within the Zannier Reserve by N/a’an ku sê private animal reserve. ith 150 years of history behind her the Bristol Marriott Royal Hotel – the Grande Dame of the city has reaffirmed her regal position in the premium hotel market with a new look fitting of her noble past, but on point for an enduring future. Traveller Magazine. It’s an incredibly productive commercial city region that successfully manages to attract business events, including high profile international events, as well as being a first-class short break destination. She continues: “Its charm lies in the diversity of our neighbourhoods, the friendliness of our people and the constant development of the visitor experience, through investment in new attractions, enhancements to the retail offer, development of new events and exhibitions, as well as raising the quality of our hotels. Visitors are delighted by the sheer range and quality of food and drink and the night time culture that means the city feels alive and welcoming.” Today the hotel is still one of the leading spaces in the city for weddings and corporate events. The hotel includes a fitness centre with an indoor pool, gym and inviting sauna, as well as a serene day spa. Room prices start from £150 per night for a double bedroom. opened in keeping with its original style – Grade II listed architecture and a stain glass roof. Meliá Hotels International, Spain’s largest hotel brand, unveils INNSiDE Prague Old Town, its latest property and first hotel in the Czech capital. Hotel Openings & Refurbishments as bathrobes, slippers and flip flops, a luxurious coffee machine, complimentary minibar, with fresh juices and local beer and Smeg fridges packed full of healthy treats, drinks and snacks. Superior+ rooms will also have high-end sound systems, complimentary streaming services and complimentary bike rental to encourage guests to explore the local area. Marriott is proud to announce the completion of a $20 million renovation to Sheraton Maldives Full Moon Resort & Spa, North Malé Atoll, Maldives. Designed by boutique multi-disciplinary design practice, Topo Design Studio, the newly transformed resort now Design inspiration exhibits beautiful Maldivian architecture with a contemporary twist reflecting the Topo Design Studio takes their inspiration five-star experience guaranteed at the from the surrounding environment to ensure that all aspects of the resort property. emulate a traditional Maldivian feel Sheraton Maldives Full Moon Resort & that is not compromised by the top of Spa is situated on the private island of the range amenities. As a result, all Furanafushi in the Republic of Maldives aspects of the resort have been elegantly 1km and a 15 minute speedboat ride renovated, from the restyled landscape away from Malé International Airport. gardens around the swimming pools, to The five-star resort offers 176 guest the room categories, the events spaces rooms designed to blend into the and restaurants, ensuring a completely surrounding turquoise waters, pristine dovetailed style throughout the island. beaches and lush greenery. Also boasting 7 unique restaurants and bars, “We are delighted to have completed the Shine Spa for Sheraton located the renovation programme which has on its very own island and 3 outdoor seen $20 million spent on redesigning tropical fresh water pools, the resort Sheraton Maldives Full Moon Resort & caters for all guests and is the perfect Spa”, comments Emilio Fortini, General destination for honeymooners, families Manager for Sheraton Maldives Full with young children or teens and solo Moon Resort & Spa. “As the third eldest resort in the Maldives, dating back to travellers alike. the island including the restyled Deluxe Cottages, Cottage Water Bungalows and Water Bungalows with Pools. These spacious cottages all offer the utmost privacy and provide easy access to the beach and lagoon. As part of the renovation, they now feature an outdoor so guests can truly immerse themselves in their luscious green surroundings. The property has also introduced a new room category, Cottage with Pool, which has been designed with families in mind and boasts a private plunge pool for young children to safely splash around in offers with direct access to the heavenly white sandy beaches. Nightly rates at Sheraton Maldives Full Moon Resort & Spa start from $400/ÂŁ315 per night based on 2 people sharing a Deluxe Garden View King Room on a B&B basis. Call +960 664 2010 or click here for more information. French’s™ and Frank’s RedHot™ are offering UK chefs the tantalising chance to win an all-expenses-paid trip for two to Memphis this May, to experience the world’s most prestigious grilling event; the World Championship Barbecue Cooking Contest. where you get to see some of the latest barbecue trends, techniques and flavours, so I urge any chef curious to learn from the best and gain some insider information before anyone else, to enter the competition today! Hopefully we’ll see you in Memphis!” Sites looking to sample America’s number one hot sauce and mustard brands, French’s and Frank’s RedHot, and view inspirational recipe ideas, should visit: www.franksandfrenchs.co.uk McCormick Flavour Solutions is the owner of Frank’s RedHot and French’s and provides ingredients and inspiration for chefs and caterers across foodservice, supplying several trusted brands including: Schwartz, Hammonds, Noël’s, Bick’s, Camp Coffee and Old Bay. WAKE UP WITH ZONAL F&B TECHNOLOGY From our latest GO Technology research, tracking the technology habits of 1,500 frequent hotel users, we know what consumers want. this is where the technology journey for guests ends. Three in five (60%) consumers have never used a technology solution to check in to a hotel, despite demand for this service with nearly half of those surveyed (45%) wanting to see automated check-in in the future. excursions (67%), reserve restaurant tables (64%) or pre-order food and drink (63%). services such as Deliveroo and Uber Eats. Whether you are looking for smart bespoke wear, or a more casual look, Joseph Alan can provide you with the complete solution to enhance your image and reinforce your brand. 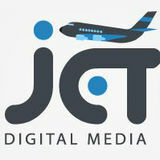 Contact us to discuss your requirements and let us change the way your customers look at you. As a part of Dennys Brands, Joseph Alan is a leading designer and supplier of uniforms to the hospitality and facilities markets, offering a five star service to bars, restaurants, hotels and pubs. With a combined experience of over 100 years, Joseph Alan specialises in unique uniform design as well as offering a comprehensive stock service of uniforms and corporate wear. Now in its 46th year, ScotHot brings thousands of industry figures together to share ideas, network and continue growing Scotland’s international reputation as a world-class culinary destination. ScotHot runs every two years and now takes place as part of the Scottish Tourism Month’s Signature Events programme. Other events throughout March include the Scottish Tourism Industry Conference, the Scottish Tourism Week ‘Dinner with a Difference’ and the ‘Oscars’ of the Scottish tourism industry, the Scottish Thistle Awards. Taking place on the 13th and 14th March at the Scottish Event Campus (SEC) in Glasgow, ScotHot 2019 features a packed programme of curated exhibitions from more than 200 suppliers, along with educational talks from key industry figures and demonstrations from some of the country’s leading chefs, culminating in the event’s pinnacle: the Scottish Culinary Championships. Hospitality and tourism industry professionals can register now to reserve complimentary tickets for ScotHot 2019 – please visit www. scothot.co.uk for more details. Don’t miss out – book your place today! Exhibitor programme Browse goods, sample products and book services – ScotHot’s extensive exhibitor space is a one-stop shop for industry professionals to network and conduct business, all under one roof. With more than 200 exhibitors arriving from throughout the UK, as well as Ireland, the Netherlands, Italy and the United States, this year’s event is set to be one of the largest and most comprehensive yet. High-profile brands in attendance include Lynas Foodservice, Booker Group, Tetley, Fishers and Krupps. With only weeks to go, start planning your time at ScotHot 2019 with our exclusive guide to some of the most hotly anticipated talks, demonstrations and events at Scotland’s hospitality trade event of the year. Make yourself comfortable at the Scottish Tourism Alliance Spotlight Stage for a series of talks by some of Scotland’s leading hospitality and tourism professionals, ready to share their insights on today’s hot topics. Key themes within this year’s programme include mental health, staff retention and training, social media, brand relationships and waste management. 70 delegates; browse the full speaker programme on the ScotHot website now! Liquid Academy Live Join the Liquid Academy and delve into the latest global drinks innovations. What will the next big trend be? How can your business prepare for the challenges that lie ahead in the drinks industry? Whatever your questions may be, Liquid Academy Live has the answers. Over the course of two days at ScotHot, Liquid Academy Live’s calendar of inspiring speakers will discuss innovation and development across Scotland’s drinks industry. Don’t miss ‘Ready Steady Cocktail’, where 10 of Scotland’s top bartenders from leading hotels and bars will go head to head in the ultimate cocktail crafting competition. Two rounds of 10 minute challenges will result in 10 cocktails ready to be judged by both the audience, and Liquid Academy Live’s very own panel of experts. This will be a true test of each bartender’s on-the-spot creative abilities, and a chance to see the country’s finest bartenders shaking up some exciting new concoctions. TOTO INNOVATE TO LUXURIATE What are the important factors when faced with specifying toilets? Design, quality reliability and maintenance are usually high priorities for Hoteliers and it is easy to understand why when you start to explore the world of sanitaryware. OTO manufacture the original Japanese shower-toilet - the WASHLET - and with over 40 million sold over the last 40 years it is easy to see why. It is an exceptional piece of design engineering. It is an ingenious as much as practical bathroom product that offers users exceptional hygiene and clearly 40 million people can’t be wrong. TOTO is a household name not only in Japan but throughout Asia and North America. In the UK and Europe it is better known for supplying the WASHLET to a wide range of hotels. Research published by Euromonitor International in November 2018 confirmed that TOTO is the No.1 brand globally in terms of sales in the shower toilet market. The list of hotels that TOTO has worked with reads like who’s who of 5* hotel establishments. Whether it is working on traditional or contemporary hotel project there is a WASHLET to fit the bill and nearly twenty combinations to choose from. Most recently TOTO worked with The Stafford Hotel in London’s St. James’s, an example of tradition meeting technology and seamlessly working together to offer an enhanced experience for guests. The Stafford Hotel is one of the finest in the Capital where the elegant suites offer privacy and luxury. The Carriage House is a unique, countryside ambiance in the heart of London; The Gatehouse is a two bedroom, three-storey townhouse perfect for an extended stay. Both the suites include TOTO Neorest EW, WASHLET SG and WASHLET EK . WHY A WASHLET? Since the WASHLET launched in 1980, TOTO has continually expanded and evolved the range. A genuine innovation in sanitaryware technology that pushes boundaries. Pre-mist WASHLET sprays the ceramic with a fine mist of water. The reason: Less sticks to a moist ceramic surface than a dry one. At TOTO, rimless toilets have been part of the standard product range since 2002. Combined with the highly effective TORNADO FLUSH and extremely smooth, long-lasting CEFIONTECT glaze, the rimless design makes TOTO toilets and WASHLET true pioneers in the area of hygiene. It is why architects and interior designers have seen the benefit of specifying for hospitality projects for many years. TRIED AND TESTED The new WASHLET™ RX and SX are streamlined version of earlier models extending their appeal to a wider audience. Designed specifically for the European market they both have a slim profile, WASHLET™ RX and SX are narrower in width and with their sleek lines seamlessly enhances any interior. Both are pre-programmable for two personal profiles offering adjustable seat and water temperature and an alternative wand direction setting. CLEANER GREENER ENVIRONMENT For technology to be truly clean it must do more than enhance personal cleanliness – it must also lead to a cleaner, greener environment. TOTO WASHLET are energy and water saving. Custom CEFIONTECT glaze, intelligent design features and hidden technologies all combine meaning less chemicals and less time spent cleaning. TOTO has been designing and manufacturing sanitaryware for over 100 years. Its products integrate technologies into their designs in a smart, nearly invisible way, while prioritising hygiene, resource conservation and comfort. TOTO is Japan’s leading manufacturer in the sector, offering a comprehensive range of products including ceramic sanitaryware, taps, showers, baths and accessories. Electrolysed processed water. Regular water is electrolysed to give it a slightly acidic pH value, which has an antibacterial effect. The EWATER+ is completely environmentally friendly and can be returned to the water cycle without worry. Warm water washing The angle at which the water flows – 43° for rear cleansing and 53° for front cleansing – has been refined to perfection. It is the world’s most evolved toilet technology. Heated seat The temperature of the seat can be adjusted to suit individual preferences, and the smart energysaving function automatically adapts itself to daily usage patterns. Deodoriser The air purifier ensures that the air around the toilet is kept fresh during and after use by passing it through a powerful, effective filter. Warm air dryer Once you have been cleansed by the warm water jet, the adjustable dryer will ensure that you end up feeling fresh and clean. ACTILIGHT The NEOREST WASHLET features its new ACTILIGHT technology. The ceramic bowl has a zirconium coated surface; when the lid is shut UV light is activated, triggering a photocatalytic process which helps the breakdown of waste. Auto functions: integrated, automatic, sensor-activated functions, including the self-opening and closing toilet lid, automatic air purifier and the self-activating flush. We have a number of new exhibitors joining us in March as the exhibition continues to grow. Major brands and organisations exhibiting are set to include Rubbermaid, Vileda and Diversey. They will be joined by Evans Vanodine, Mirius, I-Team and Arrow County, while TTS and Kimberly Clark Professional will also be attending. InnuScience Cleaning Preview Since the last Cleaning Show InnuScience has become a force in the hospitality sector, being selected by almost every new 5 star hotel opened in London since 2017. Their revolutionary biotechnology products, offering superior performance and unrivaled value for money, have ensured that they’ve been the fastest growing UK manufacturer of commercial cleaning products since 2016. How does biotechnology work? By using biological actives (fermentation extracts, enzymes and microbes) InnuScience can achieve the upfront results of strong chemical products, with a residual cleaning action that improves standards over time. Please have a quick look at their technology video, which in less than a minute will explain how the technology works on your kitchen floor and other hard to clean surfaces. Performance You can expect a better cleaning result on porous surfaces, as the actives get into the micro pores and remove the dirt. These would be surfaces such as natural stones, tile grout and safety flooring. InnuScience’s dish wash products revolutionary use of biotechnology to improve both your hygiene scores and visual results on crockery and glassware. Price These products are priced to be competitive against conventional cleaning products, gone are the days of paying a premium to go green, save the planet and your budget! Planet Conscious For InnuScience, this is pretty simple, any product cleaning or otherwise should barely have any impact on the environment, for our planet to be protected. The InnuScience standard is ultimate biodegradability of 99.99% according to OECD test 301. Besides this internal strict standard, the cleaning products are either certified by Ecologo or Ecolabel. People Friendly These cleaning products are not classified as hazardous, in their diluted form they are not even classified. The auto dish products are tremendously concentrated to achieve great economy but remain classified as a result. In their concentrated form the products would be considered a mild eye irritant. Biotechnology is the industries disruptive cleaning technology, making waves and changing the way top restaurants are cleaned! Training Apps InnuScience have been at the forefront of bringing technology into the cleaning sector launching their smartphone training apps in 2014 and have continued to hone their apps over the past 5 years. “Our training apps and their individual components are not developed by software writers but our technical support team, who are in the field every day, supporting and training our customers.” Says Tim Cozens, InnuScience Technical Director. “Our national support team have recorded over 2,500 visits to customer premises in the last year alone, giving us a lot of insight into our end user customers and their requirements.’ “We take a very open source approach to our apps, using the types of apps that people use in their every day lives and are familiar with. Our training video’s are on Youtube, our training apps are on the Apple App store and Google Play store, our augmented reality which we launched 3 years ago is in WhatsApp and Skype, being apps most users are familiar with.’ Says Jordan Graham, Technical Account Manager. “Our 15 second explainer video on Youtube gives a quick idea of how the Training App works.” Connected Cleaning IoT: The future of cleaning today. InnuScience are the first UK cleaning product manufacturer to launch an IoT based product monitoring system, Connected Cleaning. Connected Cleaning monitors product usage, which is then reported on a monthly basis, against the budget per site. This allows proactive management of any deviations from budget that may occur. This is the launch functionality that will be developed overtime to assist our hospitality customers solve cleaning problems encountered front and back of house. Connected Cleaning will be launched at the Cleaning Show 2019. The system also reports back any diagnostic issues and empty products that have not been replaced. reviews of housekeeping staff? What you need is a cost-effective, easyto-use, cloud-based software solution that can be easily deployed across a single hotel or a complete group. SmartTask you can automate much of the above which will provide a rapid return on investment by saving many hours of management time and ensuring improved customer service. This should include a simple scheduling system, which can capture daily work routines and simplify the staff assignment process. In addition, integrated time and attendance recording will ensure you have a complete record of when and where housekeeping staff attended work, while a simple drag and drop tool will help you plan the daily activities and communicate them to your housekeeping staff on their Smartphones. Once implemented such a system can deliver â&#x20AC;&#x153;push of the buttonâ&#x20AC;? visibility of housekeeping staffs performance against planned activities, providing management data for employee performance reviews, along with trend analysis of key activity such as room turnaround time, cleaning duration and room checks. Top 5 Hotel Guest Expectations You Need to Know There’s probably no other industry that relies on customer satisfaction as much as the hospitality industry. Many aspects of the guest experience are timeless, as guests always look for a comfortable bed, a good shower, a clean and tidy room, complimentary toiletries and a good internet connection. However, in the digital age, as technology and digital communication continue to advance the landscape of guest-facing technology has changed. otel technology now plays a pivotal role in enhancing the guest experience, increasing revenues and attracting, engaging and retaining guests. From AI to robots and Augmented Reality, there are many technology products and services available on the market, but how do you choose? Before you understand what is best for your business, you need to know what your guests expect. 2. Ease of communication Millennials and the new generations are communicating by texting and on digital channels. Accommodation providers have to step up their game and make sure they maximise the opportunities offered by these channels. As Benbria4 noted, it’s in hotels’ best interests to encourage guest engagement. Disengaged guests are less likely to return to a property5 and more likely to go online to broadcast their dissatisfaction on the internet. Messaging is big! There are over 5 billion monthly users of different messaging apps worldwide. 64% of consumers are likely to have a positive perception of companies that offer communication via text. Companies with the strongest omnichannel customer engagement strategies retain an average of 89% of their customers6. With your own branded app you can easily communicate with your guests and keep track of any communication from one single portal. can also include an in-room ordering platform so that guests can order anything they want with a simple click. Research7 shows that the biggest growth opportunity in the next two years for hotels is ‘during the stay’, and hotels offering in room service orders via a mobile platform saw as a minimum an 18% increase in those orders8. have a choice. They can talk to a human or go straight to their room and that’s the key, offering ALL guests what they want when they want it is the ultimate in hospitality. The perfect solution for your business Criton gives independent accommodation providers the opportunity to offer tech-savvy guests instant access to personalised guest information and self-service options by wrapping all guest-facing technology into a branded app that guests can download on their own phone. Hoteliers are in complete control over their content and the information they give to guests through an easy-touse content management system. A study9 found that 85% of international travellers have some kind of mobile device while exploring the world, so it is no surprise that 70% of guests want to use their phone to speed up check-in4. In particular, business guests expect quick and easy access to their room when arriving at a hotel, to the point that 67% of travellers are more likely to choose a hotel that allows guests to checkin and open doors with a smartphone than a hotel that doesn’t. With your own app, you can allow guests to skip check-in and open the room using their own phone. Genesis Biosciences appoints Admiral Cleaning Supplies as sole UK distributor Global microbial and anti-microbial product developer, Genesis Biosciences, has appointed Admiral Cleaning Supplies as the sole UK distributor for its professional probiotic cleaning range, Evogen Professional. The partnership will see Admiral offer the specialist, environmentally-responsible cleaning solutions to the UK HoReCa (hotels, restaurants and cafés) and Soft FM and cleaning markets. The extensive Evogen Professional range, which has been developed to ensure highlyefficacious long-term cleaning performance every time, includes interior solutions such as general purpose Biocleaner, carpet and upholstery shampoo, odour neutraliser and kitchen-specific cleaning products, as well as an exterior collection featuring hard surface cleaner. While most microbial formulas consist of a single ‘standard’ beneficial bacteria strain, or a completely non-optimised mix of beneficial bacteria, the innovative Evogen Professional range includes application-specific microbial strains and Eco-benign® chemistry which work in synergy with each other to continue to break down soiling after application. This ensures the products deliver a targeted cleaning performance that lasts longer, and is safe for the environment. Northern Restaurant & Bar 2019 is the place for leading operators, suppliers and industry figures to meet, speak and do business. From Liverpool to Leeds, the North East to North West and the Lake District to the Peak District, NRB19 brings the cream of the hospitality industry to Manchester Central on 19 & 20 March. NRB19 is sponsored by Korubu on stand E41. Connecting people with smarter hospitality technology to enhance, grow and improve business operations. Create more possibilities with hospitality driven IT infrastructure, Smart Energy and Guest WiFi software. For skills-based demonstrations such as butchery, fishmongery and patisserie head over the the Market Kitchen Theatre, where experts will guide you through their specialist techniques. Surrounding the Market Kitchen are small scale artisan makers of ice creams, breads, charcuterie and more. Northern Restaurant & Bar Show Preview Northern Restaurant & Bar 2019 is the North’s hospitality exhibition. From food & drink to furniture & lighting and tableware & uniforms to tills & ordering systems, 275 companies will be exhibiting at NRB19, supplying everything a hospitality business needs to attract more customers, improve visitor experience, increase revenue and drive profit. Exhibitors include: Artis, Biffa plc, Bleep UK plc, Brown Forman, Crown Cellars, Fever-Tree, Halewood Wines & Spirits, Hopwells, illy, James Robertshaw, Lightspeed Restaurant ePOS, LWC Drinks, Matthew Algie, Rational UK, Stephensons, Tevalis, Unox UK, Westons Cider and hundreds more. For the full list visit northernrestaurantandbar.co.uk/exhibitors Over on the drinks side of the show Drinks Live features spirits masterclasses with leading experts from international brands and indie producers. Drinks Live also hosts the annual NRB cocktail competition. Sponsored by Ms Better’s Bitters, one talented bartender will win a trip to Canada with guest shifts in Vancouver and Montreal. Surrounding Drinks Live is the Spirit Room, a curated selection of over 20 brands allowing you to sample their gins, rums liqueurs and more. Grape & Grain hosts wine, beer and cider tastings led by industry experts and exciting operators. Topics include 10 minute tastings and in-depth explorations in upcoming areas such as natural wine and low ABV beer. The Craft Beer Quarter offers tastings of a wide selectin of ales, IPAs, bitters and stouts from twelve craft brewers. Hosting industry events, meetings and networking in the centre of the show, the NRB Hub hosts the Kuits NRB Top Fifty awards, NDML’s networking event for NTIA, R Noone’s Buyers Breakfast, CityCo’s F&B Network, Ladies of Restaurants, Manchester Hospitality NetworkThe Female Hospitality Network and other dedicated hospitality gatherings. NRB Future is a unique new networking initiative to introduce the North’s hottest hospitality entrepreneurs to its leading professional advisors. NRB Future is designed to ensure that the region’s most talented young operators achieve their full potential. Northern Restaurant & Bar 2019 takes place 10:00-17:00 Tuesday 19 & Wednesday 20 March 2019 at Manchester Central. For Free Tickets Visit northernrestaurantandbar.co.uk NRB19 is a strictly trade-only event and is for industry professionals only. This yearâ&#x20AC;&#x2122;s Bruntwood NRB Debate will be headlined by chef and restaurateur Jason Atherton. After gaining a Michelin star for his London restaurant Pollen Street Social in 2011, Jasonâ&#x20AC;&#x2122;s interests now stretch from London to Dubai and from New York to Hong Kong, totalling seventeen restaurants in eight cities across three continents. Host Thom Hetherington explores what fired this Northern chef to global success. The panel event, chaired by Lucy Noone-Blake, will discuss how brands and businesses build brand loyalty and ensure their share of the marketplace, how to bridge the gap between their online presence and driving actual footfall and whether social media really is the be all and end all. Northern Restaurant & Bar Show Preview Since the late 70’s, “What’s Cooking” has been doing the simple things right: Quality ingredients, imaginative dishes, generous portions – all in a great location overlooking the historic Albert Dock on the famous Liverpool waterfront. One more thing they do right: Service. The Orderman hardware has proven very popular amongst the staff, as they have all found their Orderman7’s easy to use, reliable and compact. Individual members of the waiting team have also been equipped with highly portable belt printers, which made bill production much quicker. The entire process has been sped up even more, without guests ever feeling rushed or pressured. “Previously, we had been quite disappointed when we tried a smart tablet based system. It was just unreliable and temperamental. The staff lost confidence and abandoned its use very quickly. So, we started looking for a robust and reliable handheld ordering system that would improve efficiency in all areas. We chose Orderman and are very happy with the results”, Lee Brennan tells us further. The company is currently considering introducing Orderman hardware to another very busy site soon. Congratulations to our Orderman partner CCR Systems for an outstanding installation at “What’s Cooking”! What works for you reliably around the clock, satisfies your guests and increases your sales? The new NCR Orderman7. The Juice Pad ‘Touch’… The	very	latest	in	touch	screen	technology	with	micro	footprint…	with	a	choice	of	4	or	6	flavour	options. And	the	simplicity	of	bag	in	box	juices	and	drinks	available	in	3lt	5lt	or	10lt	bag	in	box. Wether	you	serve	40	or	4000	chilled	drinks	per	day. We	have	the	solution. Our	flavours	range	from	the	following	…. We	supply	a	wide	range	of	concentrated	juices,	just	a	few	to	name	are	your	traditional	Breakfast	Orange	and	Apple	Juice,	or	our	more	interesting	Green	Tea,	A.C.E.,	Lingonberry	with	Aloe,	Fairtrade	Peach	Tea	and	Lemon	Tea. You	can	also	dispense	our	range	of	Sugar	Free	flavoured	Waters	–	Lemon	&	Lime,	Strawberry	&	Apple,	Berry	Fruits	or	Orange	&	Mango	making	it	a	very	versatile	machine. These	are	just	a	small	sample	of	what	we	do. email	rachel@janesbeverages.com	or	tel:	01630	654229. Maintenance from restaurant music systems to boardroom conference facilities / Music curation and licensing for commercial spaces using our powerful music platform powered by Napster technology. Description: Helo Childcare Products is a true specialist supplier of Infant High Chairs for Hospitality environments throughout UK and Europe. Offering a variety of design, colour and budget to suit your venue, endorsed with the latest BS EN 14988: 2017 Standard and available for next day delivery. A simple choice for looking after your future generation of happy customers. Transformed in May 2018, this new eatery in London’s Pimlico is a stunning example of a historic building turned bustling restaurant / bar space. The culinary vision of restaurateur and hotelier, Omar Shabaan, this latest London hotspot was designed to establish a ‘neighbourhood haunt’ that seamlessly integrated into its location. The interior needed to be cohesive with the Mediterranean-inspired menu that was to be offered. eliveroo, for instance, have just announced they’ll be enabling restaurants to offer dish-by-dish calorie information on their platform, and restaurants including Yo! Sushi, Jamie’s Italian and Pho are among those taking the opportunity. Healthy eating; veganism; ethical eating; fast dining; it’s a headache to keep up with it all – but so essential; and that’s why restaurant management systems are a massive trend in the industry. Restaurant EPOS software is providing a huge ally in the perpetual hospitality industry battle against rising costs, poor efficiency and waste. Restaurant management systems genuinely put power in your hands – serving staff use handheld technology including dedicated devices or tablets to take orders and payments tableside. Managers and owners, meanwhile, get a real-time view of operations online via their mobile or laptop. Restaurant management systems also capture information about diners, including their preferences, record what’s selling best and – importantly – help restaurateurs to identify what’s trending. So restaurant companies of all sizes now rely on restaurant POS software to streamline operations and reduce costs – especially multi-site groups who appreciate the head office functions it offers. So what features should your restaurant management system have if you want to be sure to keep up with evolving diner demands? Here are 9 key questions you should ask your technology provider. 1. Is this a dedicated restaurant management system? EPOS systems are available for retail, too, but you need more facilities than they can provide, so be sure your system has been specially developed to meet restaurant requirements. 2. Does it provide course management? To give demanding guests the best customer service, you need a flexible system that allows you to split courses to help the kitchen, and make changes such as substituting a starter as a main course. Your serving staff need an easy interface to make this happen, and the restaurant management system should integrate with kitchen technology so the printers or screens deliver the right information to each station. For instance, if you offer breakfast, lunch and dinner, you could end up with an unwieldy menu on the handheld device. Advanced restaurant management technology allows you to customise screen layouts according to job codes. You can also enable or disable menus based on the terminal or area, the time, the day or even specific dates. 6. What about diners on the move? If your diners shift tables, you want your staff to be able to reallocate their order easily, so your restaurant management system should have flexible table maps where you allocate specific orders to particular tables. large. It speeds up table turn quicker and makes the dining experience seamless. 9. Will customers notice our staff are training? No – with a good system there’s little disruption because staff can be taking orders within a couple of hours, and giving guests the improved service they’ll enjoy. What else should you think about? A restaurant management system is an important investment, but can be available on rental schemes with an easy monthly payment that make ROI swift. Hosted systems mean you don’t have to buy expensive hardware. Take your time, and make sure you make a wise choice – going for restaurant management software may be one of the more important decisions you’ll ever make for your business and for your diners. 5. Can it keep my menu workable? Business fluctuates, so it’s crucial to manage your menu for different times of day so your staff don’t have to deal with a long menu. • Digital dining works for you and your customers all day – see the video click here. The Aloha restaurant management system recently partnered with chefdesigned Kitchen CUT technology that tracks potential allergens throughout dishes and menus and also helps chefs keep costs under control. app-controlled TopJuicer Scanomat UK & Ireland has launched three new on-trend juice flavours exclusively for its revolutionary TopJuicer machine. The three new additions are Apple & Elderflower, Cloudy Lemon and Strawberry & Kiwi. All of which are available to order now for TopJuicer customers, alongside the existing range of Orange, Apple & Cranberry juices. Part of the innovative TopBrewer family of products, TopJuicer is a completely new way to serve juice, delivering a range of fresh juice drinks from a stylish swan neck tap at the touch of an app. TopJuicer consumers can choose up to three juice flavours, with options for sparkling juices available with the addition of a C02 module. TopJuicer also offers fresh, filtered still and sparkling water on tap. From an environmental perspective, the addition of a TopJuicer, as opposed to conventional bottled juice drinks, can help to reduce reliance on plastic, as well as being a great way to promote health & wellbeing. The TopJuicer’s minimal footprint and stylish design makes it perfect for hotels, workplaces, universities and retail spaces, providing a healthy beverage alternative that complements the TopBrewer’s premium coffee menu. iD Revolution: Tarkett launches the market’s first non-PVC modular resilient flooring with Cradle to Cradle® gold certification Tarkett unveiled iD Revolution, to offer customers a new innovative modular resilient flooring in line with its strong sustainability commitment. A flexible, modular flooring, iD Revolution is regenerative by design as it is comprised of 83% recycled, mineral and bio-based materials and is 100% recyclable. The result: a Cradle to Cradle® gold certified modular resilient flooring which has been designed for life while also combining performance and design. To create this innovative new product, Tarkett sources recycled PVB, a non-PVC and phthalatefree resin used to help prevent windscreens from shattering. It is recovered from end-of-life vehicles or safety glass from buildings, before being integrated into the product. The product formula includes 24% recycled PVB, 11% bioplastic and 49% chalk, a mineral found in abundance in nature. Not only is iD Revolution’s product composition sustainable but the manufacturing process also respects the earth’s natural capital: 99% of the water used during the production is recycled, and 50% of the electricity needed comes from renewable sources, while the remaining 50% are offset, via carbon credits through a project supporting biodiversity in the Peruvian Amazon Rainforest. In addition, iD Revolution is free from phthalate and solvents, and has been designed with an ultralow level of volatile organic compounds (VOCs)1, thus contributing to optimal indoor air quality and healthy spaces. Closing the Loop To close the loop, the product itself is 100% recyclable. iD Revolution can once again be re-used at the end-of-life stage. Through ReStart®, Tarkett’s takeback programme, iD Revolution’s tiles and planks will be eligible to be collected and sent back to the manufacturing site to be reengineered as a new product. Thanks to this focus on sustainability driving every step of the design and manufacturing process, iD Revolution is the first Cradle to Cradle® Gold certified modular resilient flooring made with recycled materials and natural fillers. 1 The level of total volatile organic compounds (TVOC), yielding a measurement of < 10µg / m3 after 28 days, is much lower than the existing regulations and standards. An award-winning product Just after its launch, iD Revolution has already received in France the “Innovation Teams Best Practices 2018” award, organized by Paris Sorbonne University and Paris Directors of Innovation Club. This award demonstrates Tarkett’s team commitment towards sustainable and innovative flooring solutions. This doesn’t mean compromising on design, resistance and durability. Treated with Tarkett’s TopClean XP™ surface protection, the tiles and planks deliver the same high quality as Tarkett’s other modular vinyl flooring collections, allowing for easy maintenance and extra resistance to scuffs, scratches and stains caused by daily wear and tear. he project took six months to totally complete with the design heavily influenced by Birmingham’s canals and city centre landmarks. The guest rooms and public areas all feature decorative accents, vivid murals and design touches that showcase the local neighbourhood heritage and unique architecture. The four-star boutique hotel, which is located at the top of the iconic The Cube building, boasts flat screen Satellite TV’s, complimentary mini-bars, and invigorating rainfall showers in every room. Nick Taplin, CEO of Black and White Hospitality who own and manage Hotel Indigo Birmingham, said: “As a servicedriven business, we are constantly working on new ways to enhance our guest experience. The investment is part of our ongoing strategy to ensure we keep moving forward and keep improving every part of our business.